poster for Washington, DC concert. 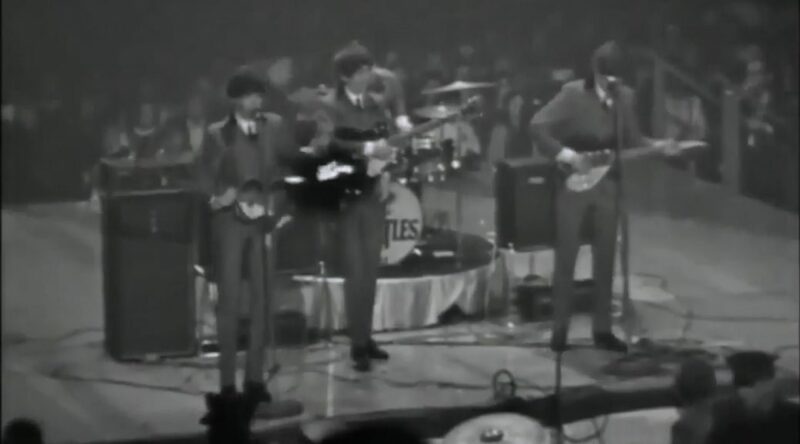 The first US Beatle concert performance. 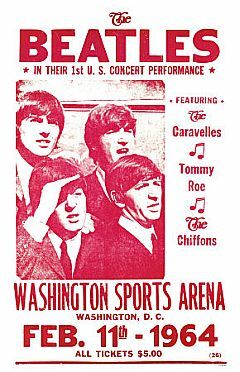 A snowstorm had cancelled their flight, so the Beatles took a train to Washington DC and made their live concert debut in the US at the Washington Coliseum. Over 350 police surrounded the stage to keep the 8,000 plus screaming fans in control. One police officer who found the noise so loud stuck a bullet in each ear as ear plugs. The Beatles had to stop three times and turn Ringo’s drum kit around and re-position their microphones so that they faced a different part of the audience. The set list: ‘Roll Over Beethoven’, ‘From Me to You’, ‘I Saw Her Standing There’, ‘This Boy’, ‘All My Loving’, ‘I Wanna Be Your Man’, ‘Please Please Me’, ‘She Loves You’, ‘I Want to Hold Your Hand’, ‘Twist and Shout’, and ‘Long Tall Sally’. 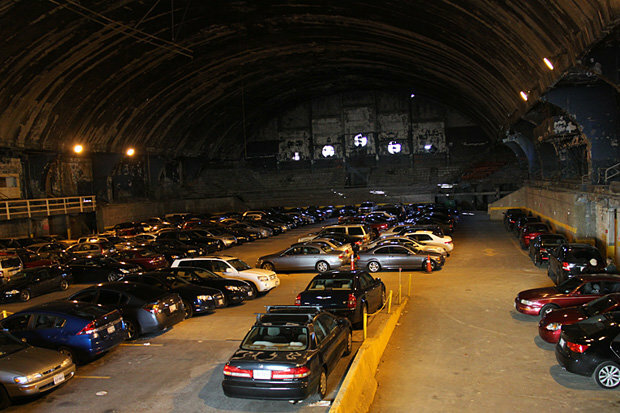 Today, the concert site looks a bit different than in 1964.